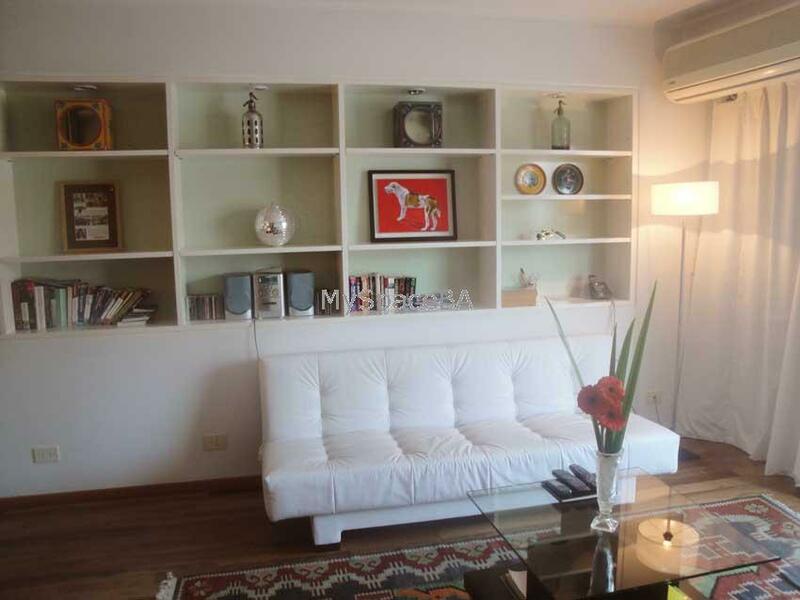 Delightful , contemporary and quiet one bedroom apartment located in Palermo, just steps from shopping , dining , parks , embassies , museums , zoo , botanical garden and more. The apartment offers a lovely large tropical terrace boasting park views , outdoor dining with retractable awning and lots of sun. Living ample with a comfortable sofa bed , armchairs , dinning area , open plan fully equipped kitchen connected to the living through a breakfast bar . The bedroom has a Quenn size bed . Closet . There is a complete bathroom . Large terrace . Flowers and champagne upon arrival , Maid service 2x per week , High speed internet , Cable TV /DVD , Mp3 compatible stereo , Free local calls . Fully equipped kitchen , Service for 8 , Blackout drapes Safe box . Modern furnishings , original art . Bedroom with deck access . Plush linens , Luxury mattress Full-size sofa convertible , Individual climate control , Hair dryer , Curling Iron. Brand new building . Doorman 24hs . Elevators . Shopping Center Paseo Alcorta , Libertador Ave. Palermo Parks . Sourrounded by restaurants, bars , pubs . Banks . Comercial area, residential area . Conveniently located between the crowded nightlife of the disctricts Palermo Soho and Recoleta . A quick cab ride to downtown, San Telmo and Puerto Madero .